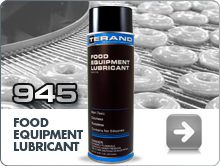 When it comes to keeping expensive equipment in good working order, industrial maintenance professionals rely on CPC and Terand products. 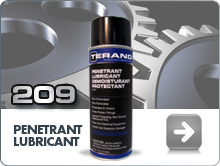 Terand specialty chemical products are found on the job in maintenance shops, on oil rigs, on construction sites, in fleet maintenance shops, on mining sites --- anywhere high-quality maintenance products are needed. 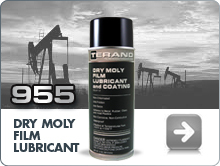 Keep the equipment you and your business rely on in top working condition with CPC and Terand specialty chemical products. For more than five decades, industrial maintenance professionals have counted on CPC to help maintain their equipment. As aerosol pioneers, we found that aerosols are the best application for many jobs. In fact, many of our products were the first to be packaged in an aerosol container. With aerosol packaging, there are no spills, no mixing, no waste, they reach tight spots, and go right where you need them. From lubricants and cleaners to unique specialty chemicals, professionals rely on CPC. Your product names, your logo, your brand look make CPC’s quality products yours. 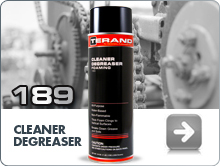 Find out how easy it is to add products to your line.